By David Springall, Founder & CTO of Yospace. In this post I’d like to talk about the challenges faced by broadcasters in efficiently monetising live sports at scale using server-side ad insertion. We have broadcasters in five continents monetising live sports using our platform. During the World Cup last year, we saw a peak audience of 1.6 million concurrent users and only a few weeks ago, in January this year, we saw that record double to 3.2 million – a significant jump in the space of just six months. So the ability to scale SSAI, and to plan for future scale, is really important but this topic is made complex because there are two opposing forces at play. On one hand you have the desire for the broadcaster to improve the viewer experience by reducing latency. On the other hand, the way in which online advertising is being bought and sold is trending towards automated, or ‘programmatic’, fulfilment. This makes the user-level ad decisioning much more complex. Underlying all of this is the fact that the industry as a whole is finding online audiences, especially where major sports events are concerned, are growing at an ever faster rate, and it’s important that solutions deployed can continue to keep ahead of this growth. So why is it that these forces are opposing? The reason for this is that in live streaming everyone watches the ad break at more or less the same time. In order for us to know which ads to stitch in to each individual stream, we need to make a call to the ad decisioning ecosystem on behalf of each individual streaming session. Naturally, these calls all take place in a very short space of time. The lower latency the stream, the shorter the time frame under which this bevy of calls will be made. As this time window is made even smaller, you need each individual ad decision request to also take less time. Ok, so let’s hold that thought. On the other hand, because the ad decisioning ecosystem is getting more complex, it actually needs more time to resolve ad decisions. Real-time bidding is required in the process of getting decisions for ad placement, so you’re not making calls to a single ad server, you’re making calls to multiple partners in the ecosystem. Furthermore, you’re depending on all of those partners to be able to scale to handle these bursts of requests. Therefore, to deliver the low latency experience at scale for live sports, and to plan for future scale, with a complex ad decisioning ecosystem to maximise the revenue opportunity, it’s necessary to the make ad decisioning calls in an orderly fashion way ahead of the actual break taking place. By doing this you are no longer hostage to stream latency and how long you can spend, or how many calls you can make to get a decision for each user. So this is what we do with the Yospace SSAI platform. We call it prefetch and it allows us to scale to support the world’s biggest live events. We co-authored a white paper on the topic with Akamai and SpotX. It’s called “Go Live” and you can download it here. Schedule a time to meet at NAB to find out more! NEW YORK and LONDON— September 20, 2018 — Akamai, SpotX and Yospace have set out the key principles of monetizing major live events over OTT in a white paper entitled “Go Live: Addressable, Ad-Supported, Live Video At Scale,” which was made available at the IBC Show in Amsterdam this month. Drawing from the technology companies’ wealth of combined experience in delivering and monetizing the largest live audiences in the world, the paper focuses on the three key pillars of major event television – monetization, scale and viewer experience – and outlines the technical complexities involved in delivering all three in an environment where viewing records are being broken on a regular basis while the demand for data-enriched advertising is increasing. Prefetch is a central theme of the Go Live whitepaper. Yospace, the world’s foremost provider of server-side ad insertion (SSAI) technology, operates closely with the broadcast headend, allowing it to detect an upcoming ad break before it happens. 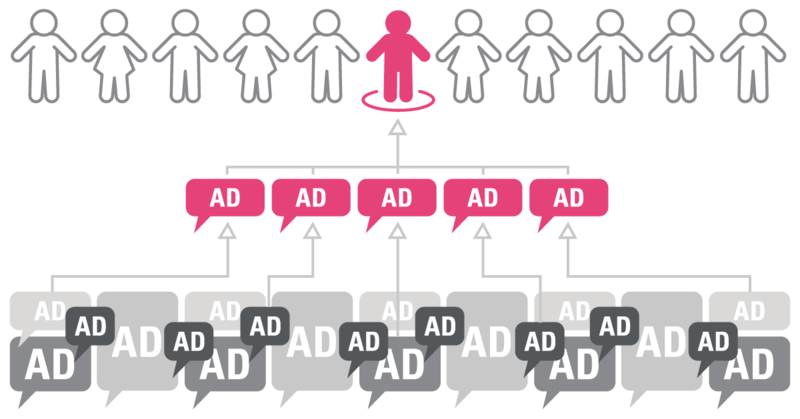 Ad calls are made early to an ad server, such as SpotX, who then have more time to instruct the programmatic marketplace and generate the highest possible CPM and fill-rate for the rights-holder. Monetization at such scale will only work if the right delivery mechanisms are in place. Akamai, a global leading Content Delivery Network (CDN), reliably handles peaks in audience demand to deliver video and ad content at scale, while providing a seamless, broadcast-quality viewing experience. The white paper also looks at how SSAI technology and the wider ad ecosystem is adapting to the requirements of a maturing OTT world. Support for low latency streaming, at scale, and for data security mechanisms, both safeguarding the privacy of the viewer and protecting the value of the rights-holders audience, are addressed. Akamai secures and delivers digital experiences for the world’s largest companies. Akamai’s intelligent edge platform surrounds everything, from the enterprise to the cloud, so customers and their businesses can be fast, smart, and secure. Top brands globally rely on Akamai to help them realize competitive advantage through agile solutions that extend the power of their multi-cloud architectures. Akamai keeps decisions, apps and experiences closer to users than anyone — and attacks and threats far away. Akamai’s portfolio of edge security, web and mobile performance, enterprise access and video delivery solutions is supported by unmatched customer service, analytics and 24/7/365 monitoring. Learn more at www.akamai.com. Yospace is the world’s leading provider of server-side ad insertion (SSAI) technology for OTT. With proven scale, its platform enables one-to-one addressability while delivering a TV-like viewer experience. In partnership with the UK’s biggest commercial broadcaster, ITV, Yospace was the first company to successfully demonstrate SSAI in a live broadcast stream, in 2012 – an achievement that was recognised by the IBC Innovation Awards. Today, the multi-award-winning platform services major broadcasters across the globe and is widely recognised as both the most innovative and most reliable in scaling to monetise major event traffic. Customers include: AT&T Entertainment Group in North America; Sky Media, ITV, BT Sport, Channel 4, Sky Deutschland, TV4, Telia and Medialaan in Europe; SonyLIV, Seven West Media, Network Ten in APAC. In 2017, Akamai announced that their dynamic ad insertion capabilities would be exclusively powered by the Yospace platform. SpotXis the leading global video advertising platform that enables media owners and publishers to monetise premium content across desktop, mobile and connected TV devices. As a modern ad server with programmatic infrastructure, data enablement, and monetisation solutions for OTT, outstream, and addressable TV, SpotX gives media owners and publishers the control, transparency, and actionable insights needed to understand buyer behaviour, manage access and pricing, and maximise revenue. SpotX also provides advertisers with a direct pipeline to premium supply and innovative solutions for optimising media efficiency, reach, and audience targeting. With best-in-class technology purpose-built for video, SpotX’s holistic, brand-safe solution is employed by some of the largest media owners and publishers in the world including fuboTV, Microsoft Casual Games, Newsy, Samba TV, Sling TV, Vudu and partners with a variety of different companies within the digital video ecosystem including comScore, DoubleVerify, Integral Ad Science, JW Player, MediaMath, MOAT, Nielsen, Oracle, and more. Headquartered in Denver, SpotX has nearly 600 employees in 24 offices worldwide including Amsterdam, Hamburg, London, Los Angeles, Milan, New York, Paris, San Francisco, Singapore, Stockholm, Sydney, and Tokyo. In October 2017, RTL Group completed its 100% acquisition of SpotX which is currently combining its business with smartclip, a sister company. Learn more atwww.spotx.tvand follow @SpotX on Twitter and LinkedIn. © 2016 Yospace Technologies Ltd. All rights reserved.